I did it! I painted my laminate countertops to resemble stone! And I love the results. Does it look like granite? Nah. 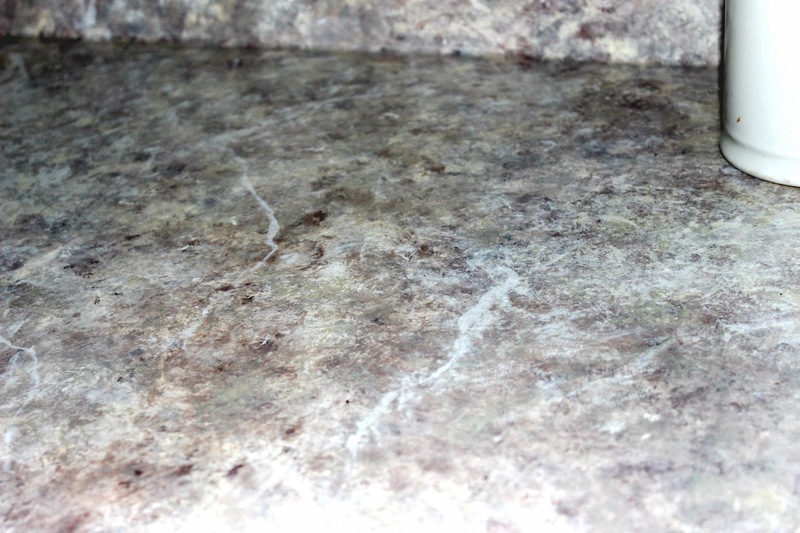 Nothing looks like granite except granite. 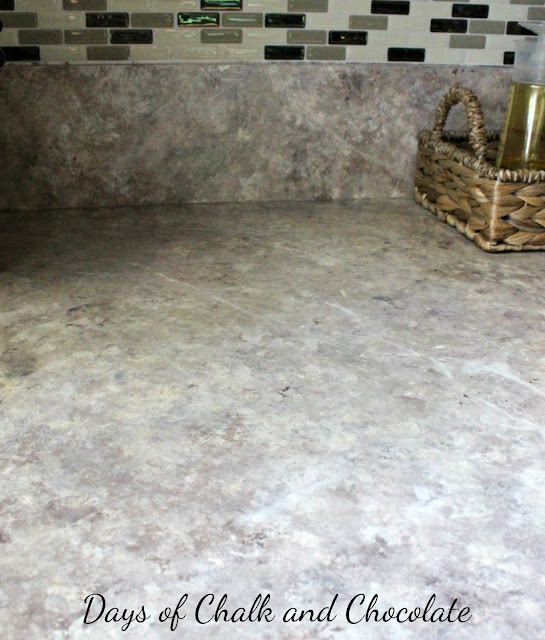 Does it look like brand new laminate that isn't as fugly as the 80s stuff I started with? Heck yeah! Basic white laminate with an oak trim edging. Fancy in 1982. Now? Not so much. You know we plan to gut and redo the kitchen in the next year so laying a new counter on top of old cabinets wasn't an option for me. But I couldn't live with the white any more. It wasn't really how they looked because, hey, I'm living with those heinous cabinets. But it was so hard to keep clean. Every little thing stained it and I was tired of always have dingy counters. Jim took the girls to visit his dad for the day and I had the whole place to myself to get to it! I posted a TUTORIAL. 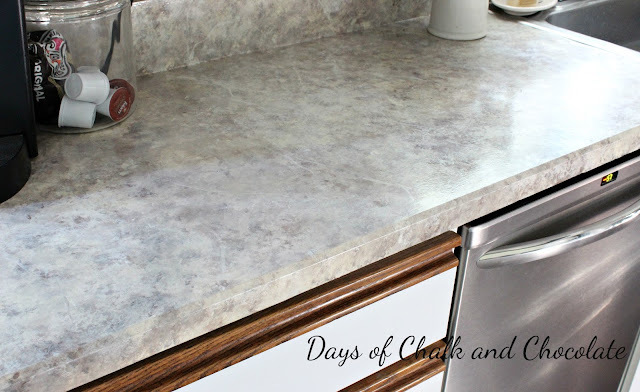 I love my new counters! I don't love it with the backsplash but again, this should all be temporary. I hope, anyway. 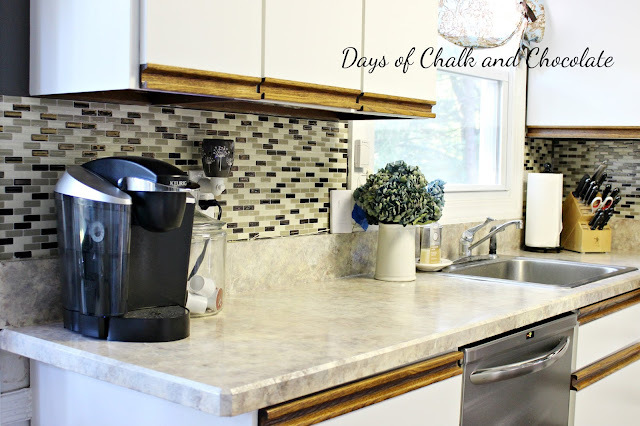 The backsplash is a stick on vinyl tile that was super easy and quick to put up. You can read more about it here. My favorite part is the veining. That, in my opinion, makes it look more like stone. It was a cinch to do with a skinny artist's paint brush! They aren't as shiny as I hoped but I may go over them with a poured epoxy. We'll see. And I still have the other side of the kitchen to do so maybe I'll recoat them all at that time. I will keep trying to get some good pics. I'm never ever happy with my kitchen pictures. No matter what setting I use they always look dark or washed out. Never the right color. So frustrating! Kitchen from the day we closed. Linking up to the best parties! This looks great! I love what you did - it may not be a real stone counter but it looks soo much better than before. Fantastic! I would love to do this. 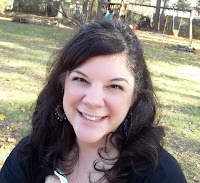 Great job, Jenny! They look wonderful. 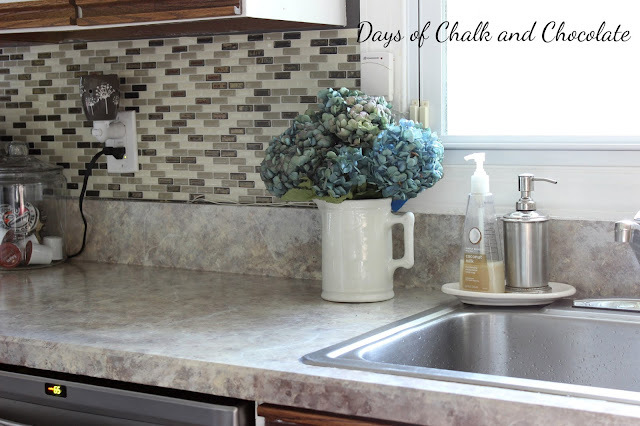 .....after seeing how your backsplash turned out I am considering doing that to mine! I think this looks amazing! Great job Jenny! I love your new counters ,so clever .Could you please tell me what products you used . My counters are green and in desperate need of a makeover. 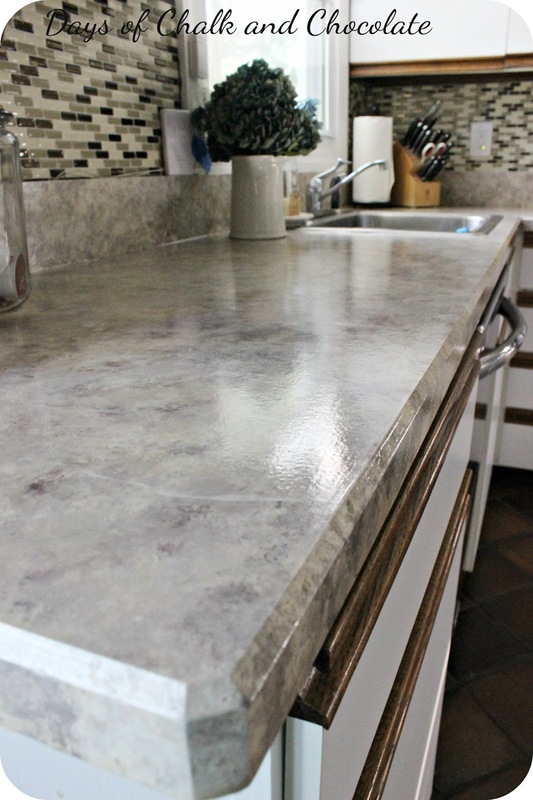 Hi I just found your blog from Hometalk and LOVE your painted countertops. I want to do that too. Great job!!! 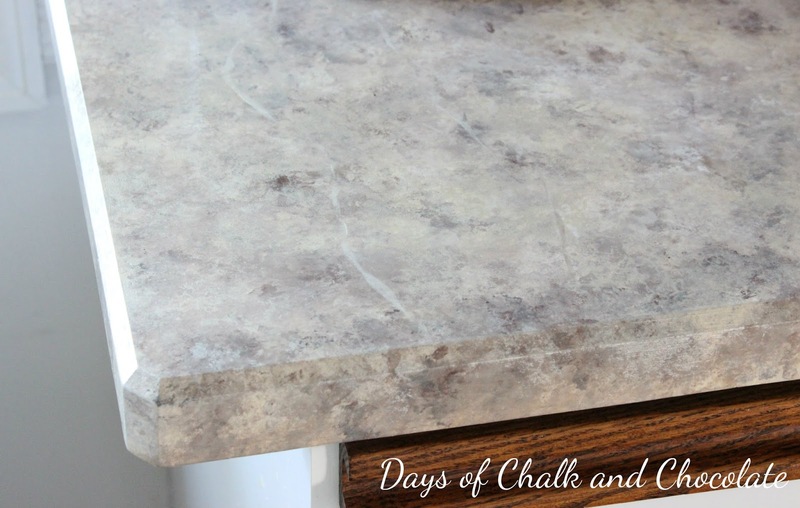 I just found your blog (featured on Hometalk) and LOVE the painted countertops!!! I wanna do that too. Please be sure to post instructions... want to try. 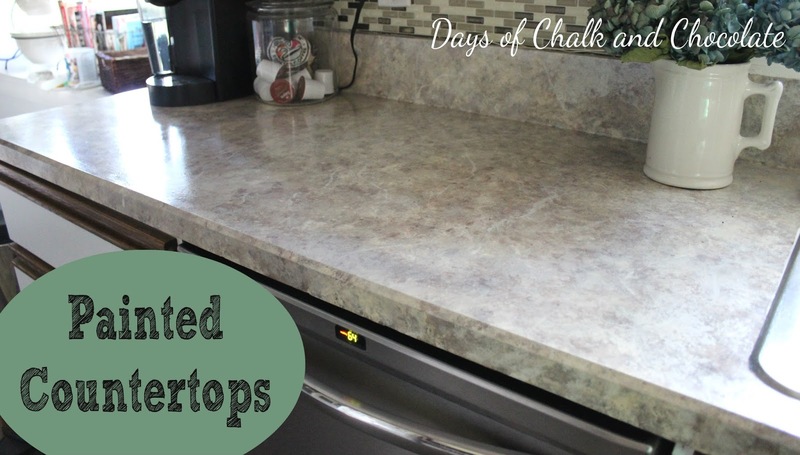 Please post instructions I have a couple of counter tops I would like to try this on. please share what products were used, and instructions!!! I have cabinets and countertops from 1975 and really need to do this!!!! my email is creatorshealingoils@gmail.com TIA!